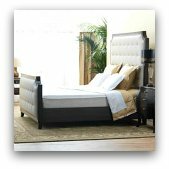 We purchased another bed from another company and we were extremely disappointed in that purchase. We had that bed a week and it was wreaking havoc on our bodies. We had that bed removed and went to the Original Mattress Factory in Macedonia, OH. We are so happy with this purchase. We actually look forward to going to bed at night, because of this bed. The salesman (Tony) was not pushy at all. He was honest and confident in his product. This was a very good purchase for us, and we are very happy customers. Thank you Original Mattress Factory (and Tony). Join in and write your own page! It's easy to do. How? 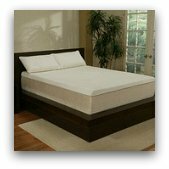 Simply click here to return to Original Mattress Factory Reviews.